September | 2013 | Sonic Smash-Music! 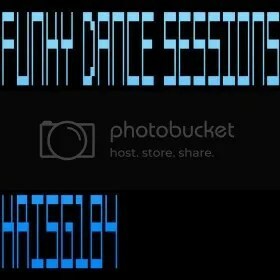 The composer and performer of music known as KrisG184 has released his latest and greatest EP record, titled, “Funky Dance Sessions.” The album is comprised of six tracks for a whopping two and a half hours’ worth of music listening, making for a remarkably comprehensive treatment of KrisG184 material. It is only an extended-play release by the relatively small number of tracks, themselves, though the longest of them spans nearly 40 minutes, the shortest of them, 10. The new album has passionately inspired titles such as “Eternallove,” Lovelovelove,” Makelovegood,” and “Loverape,” and is book-ended by “Cryptic” and “Etm.” They are the most significant releases from KrisG184 since his “2.30am” release in July of this year. While that song featured jazzy brass on top of KrisG’s signature house music beats, “Funky Dance Sessions” is populated mostly by his DJ skills as a mix master and rhythm man. Its title is entirely appropriate. KrisG184 (AKA Kris Grayer) cites as main artistic influences David Guetta, Carl Cox, and Pete Tong. He has been mixing music for more than a decade, having begun his music career using turntables in the traditional style. He was awarded a position at Julliard School of Music in New York to study music technology before he was 20 years old. Having left school to pursue a career in bass trombone, he has worked with both Elton John and Adele, and recorded at the famous Abbey Road Studios with the London Symphony Orchestra. Venues at which he has performed included many of the most famous in existence, including England’s Wembley Stadium for a crowd of 90,000, the Netherlands’ Amsterdam Arena for 45,000, and England’s Royal Albert Hall (with Adele). KrisG184 is originally from Kansas City, MO, but moved to New York after the tragic murder of his father. KrisG184 spent a hard five years on the streets, mingling with rappers and other musicians who influenced his sound before winning his spot at Julliard and going on to become a professional musician. “Funky Dance Sessions” by KrisG184 is available online worldwide beginning late September, 2013. 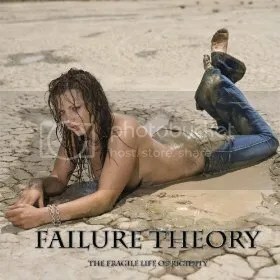 The music artist known as Failure Theory has released his latest LP record album, titled, “The Fragile Life of Rigidity.” The album is comprised of eight original tracks for an approximate total listening time of half an hour. A gritty, grinding and raw collection of the latest Failure Theory material, “The Fragile Life of Rigidity” is a sonic exploration of human limitations and the extremities to which frustrations can lead. Failure Theory cites as main artistic influences Andy Wallace, Ani DiFranco, and Nine Inch Nails. “The Fragile Life of Rigidity” boasts vocal stylizing with certain attributes that recall Trent Reznor, and has spare and unforgiving guitar licks that would make Ani DiFranco proud. Yet, Failure Theory has a sound all his own, and comparisons stray further from the listening experience than they actually describe it. Asked to comment on any message or meaning the record may have in store for fans, he speaks candidly. Failure Theory’s official bio explains this perceived “repeated failure” in detail. As a child, Failure Theory was told by his father that he “sucked” at guitar. He describes his social skills as fundamentally lacking. Failure Theory has been recording his own music for years. He has written and recorded two previous records, each one better than the last, yet still sub-par by his own estimation. Failure Theory has tried to quit music entirely on several occasions, but cannot seem to make the no-sound diet stick, either. In the meantime, he became an attorney at law. Disillusioned at the utter lack of positions in his field after graduation, his aggravations mounted and another album loomed in his imagination. “The Fragile Life of Rigidity” by Failure Theory is available online worldwide. The ever-changing, multifaceted musicians known as Rex Ivy and Moot Booxle have released their infinitely colorful Christmas record, titled, “Santa’s Calling.” The album is populated with most of the traditional standard songs the English-speaking world loves to hear during the Christmas season, and as is usual for Ivy and Booxle, these songs have been arranged and performed in the absolute least standard way imaginable – and are all the better for the treatment. The album is expected to drop in late September of this year (2013). Listeners unacquainted with the Rex Ivy experience need only to hear his “12 Days of Christmas” to know how very varied his styles can be. His vocals range from Louis Armstrong’s growl to Elvis Presley’s drawl, and from a Sinatra swing to a hayseed twang. Ivy and Booxle play in every tone and timbre of the musical rainbow, and “Santa’s Calling” is no exception. Their jumping rendition of “Silent Night” is part dixieland jazz, part 1920s-era jitterbug. It is impossible to intuit or detect that the same two artists are the arrangers and performers of all this music from track to track. While there is certainly a fair amount of good humor in music from Ivy and Booxle, it should not be presumed that no Rex Ivy music is in a serious vein; indeed, Ivy is very capable of penning and performing earnestly from the heart, and much of “Santa’s Calling” is music to genuinely stoke the warm hearth fires of holiday goodwill worldwide. “Santa’s Calling” by Rex Ivy is available online worldwide beginning late September, 2013. 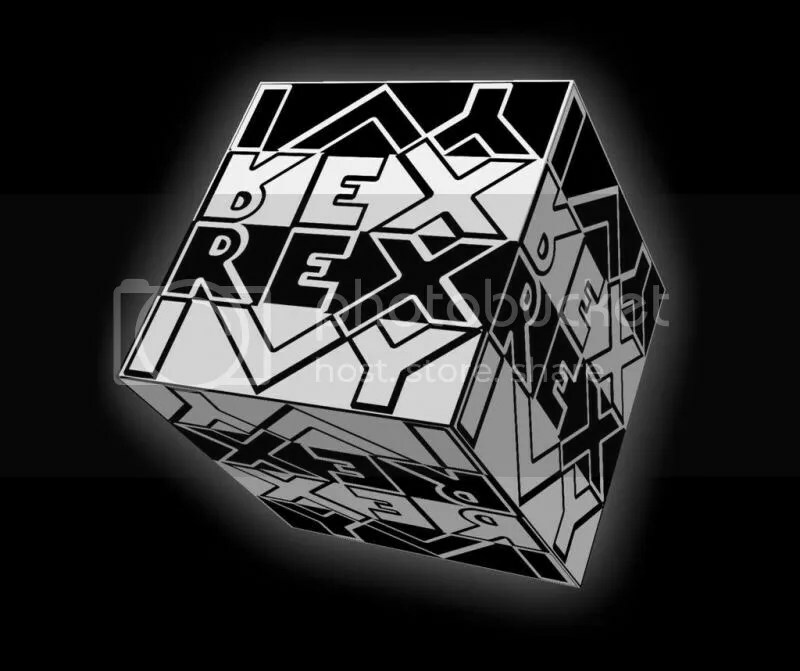 Be sure to experience the groove and fun of Rex Ivy’s “Mood Swings,” also. The team of educators and musical producers, Yi-Jin and Iris Hsu, have released their new musical spelling aid for children, “Happy Spelling 2.” The educational aid includes complete original songs which instruct young children in the spelling of thirty different words in English, including early-childhood development words such as Ear, Eye, Face, Finger, Foot, Hair, Hand, Head, Knee, Leg, Lip, Mouth, Nail, Neck, Nose, Skin, and Tooth. Five more difficult words are also included, the correct recitation of which is sure to bolster a child’s self-confidence. These are Capacious, Daunted, Fickle, Foment, and Kindle. Numbers are also included: Seven, Eight, Nine, Ten, Eleven, and Twelve. The 19th track on the record, “12345,” also teaches the first few numbers in English, and even repeats them in Chinese. Chinese being an increasingly important language to learn in the modern world, this is an invaluable tool for today’s children, as well as another skill in which to take pride. The quality of the music and singing on the Hsu’s “Happy Spelling 2” are top-notch and every bit as well-produced as any professional studio record, showing them to be creative and expert composers. The record has a high value, as well, boasting more than an hour’s worth of listening and learning time for young children, better than twenty minutes more than a standard, full-length LP album. “Happy Spelling 2” by Yi-Jin and Iris Hsu is available online worldwide. 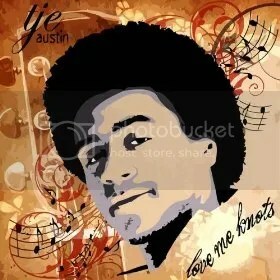 The singer and songwriter known as Tje Austin (pronounced Tye) has re-released his 2008 debut LP record album, titled, “Love Me Knots.” The album is comprised of 11 songs for an approximate total listening time of nearly 40 minutes. It has been published on the ever-growing Browns Town Music LLC record label. It is the most significant release from Austin since his 12-track “Dreamin’ Big” album, which was officially released in 2012 on Browns Town Music. Austin himself is from Austin, Texas, though his style does not bear many of the earmarks of music from that particular region, which is largely dominated by eclectic indie rock and alternative bands. His acoustic guitar work and gentle tone and timbre are reminiscent of artists such as Jack Johnson, Ben Harper or Matt Costa. His music is genuine, heartfelt, and vibrant with character and humanity. “Love Me Knots” is a record that can be played in almost any imaginable circumstance and seem appropriate. It is accessible to fans of any music genre, and is as popular with children as it is with adults. Tje Austin’s career has been bolstered by his new association with Rudy Jones, award-winning recording engineer and co-founder of Browns Town Music. Austin has since appeared on NBC’s popular television program, “The Voice,” and has opened for such Grammy award nominees as Anthony David, Dwele and Trey Songz. He is a tireless performer, playing scores of shows every season. He was one of the featured artists on “Texas on Tour,” and performed the National Anthem for the 2010 American League champion baseball team, the Texas Rangers. He has singles in rotation on various satellite radio stations and a third, seven-song record, “Xperience,” published worldwide in 2010. His fan base is exceptionally enormous, with a burgeoning number of followers online. His MySpace page has logged more than three million visits, and his YouTube presence looms large. “Love Me Knots” by Tje Austin is available online worldwide from BTM. 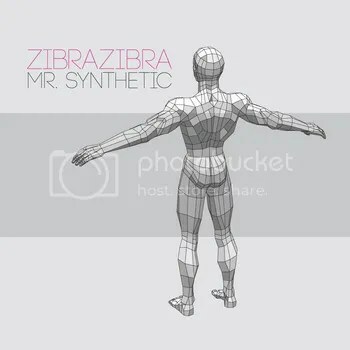 The Minnesota synth rock crew known as ZibraZibra have officially pre-released their long-awaited LP record, “Mr. Synthetic.” The album is comprised of nine all-new original tracks from ZibraZibra on the Royalty Etc. Records music label, and is the followup album to their two existing LPs, “The End of the Lion” and “777.” ZibraZibra are celebrating this pre-release of “Mr. Synthetic” by offering a very limited edition vinyl LP record in “hott” pink. The following details are faithfully reproduced as they appear on the official ZibraZibra website at zibrazibra.com. HOTT PINK 180-gram 12″ Vinyl. Mastered from 96k/24bit source files. Audiophiles unfamiliar with the tone and feel of ZibraZibra have a rare treat in store. ZibraZibra have an upbeat, synth-pop sound that is all their own, but which comes in a seemingly endless array of shades like the varying colors of a chameleon. Their extreme talent and elasticity sometimes recalls the style of Prince and sometimes Queen, sometimes Devo and sometimes DJ Jazzy Jeff and the Fresh Prince. Their lyrics are ingenious, ridiculous, and hilarious. Their beats are solid and syncopated, their guitars top-notch ’80s fare, their synthesizers every bit as candy-coated good as synth ever was. “Mr. Synthetic” is available worldwide on limited edition “hott” pink 180-gram vinyl from ZibraZibra.com now. Get in early. The Florida rap artist known internationally as DJ Smile has released his latest official LP record album, titled, “Something About the ‘Ray.’” The album is comprised of 10 all new, original tracks by DJ Smile and friends for an approximate total listening time of 40 minutes. “Something About the ‘Ray’” by DJ Smile has been released on the Smile Baby Music record label. In addition to the ample and entirely impressive talents of DJ Smile, himself, “Something About the ‘Ray’” is also graced by a parade of other featured music artists, such as Gabriala Grisby, Tamara Wallace, Blessed, and Mr. Smooth. These featured musicians add a slough of excellent attributes to what would otherwise be an exceptional hip-hop record in its own right, making “Something About the ‘Ray’” one of the year’s best-produced LPs in the genre so far. 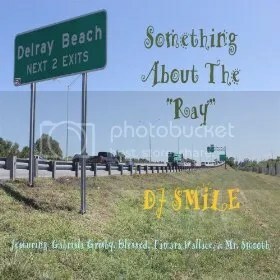 “Something About the ‘Ray’” gets its title from Delray Beach, Florida, which is where both DJ Smile and Smile Baby Music call home. The record has an old-school, traditional hip-hop feel with a great deal of funk and groove, gorgeous female harmonies, and beats that are sometimes reminiscent of Parliament Funkadelic, sometimes like Slick Rick, and sometimes even baring slight resemblances to Deee-Lite. Regardless of one’s personal likes and dislikes in the broad, sprawling realm of hip-hop music, however, “Something About the ‘Ray’” is easily the most fun, accessible and danceable record to be released in many months, perhaps even years. What is more, it also manages to be mature, interesting and catchy music without much use of the seemingly ubiquitous “Parental Advisory: Explicit Lyrics” sticker that plagues the hip-hop category from top to bottom, making it fabulous listening whether the kids are in the car or not. (There is one explicit track, however the record contains a radio-friendly version of this also.) All in all, “Something About the ‘Ray’” is a standout record and a true achievement from DJ Smile and his little record label in Florida, one that very much deserves a listen from anyone who ever liked a hip-hop song by anyone, ever. Get in early. “Something About the ‘Ray’” by DJ Smile is available online worldwide.